Last August I was lucky enough to spend 3.5 weeks in the United States of America. This road trip has been a dream come true, almost halving my famous bucket list. Not only did I get to see things I’ve always wanted to see, but I also explored new places that I never would’ve found otherwise. 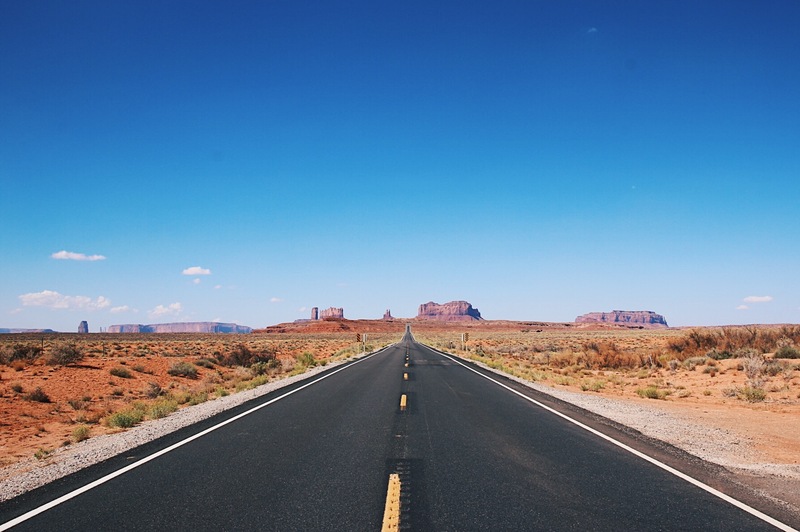 If you’re still looking for some inspiration for your own USA road trip, look no further! 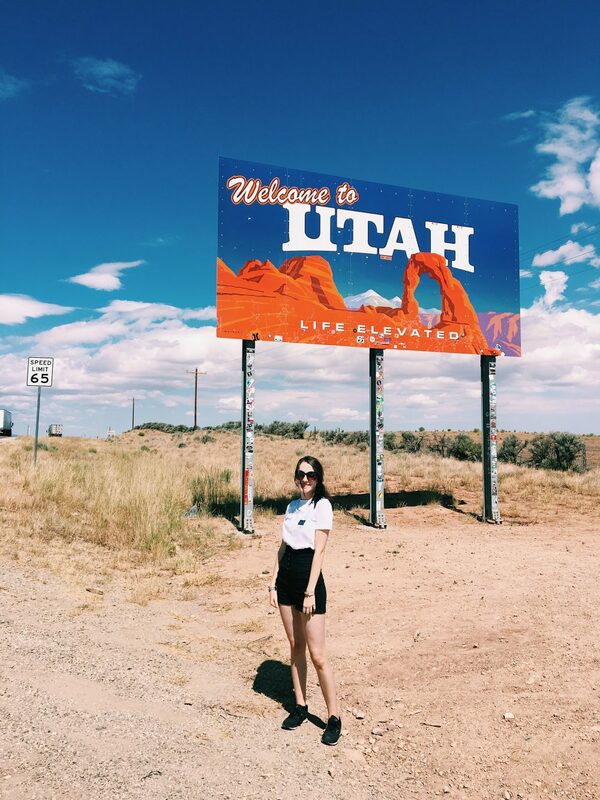 I’ve listed my entire trip from Denver, Colorado to Los Angeles, California while driving through the beautiful states of Utah, Arizona, and Nevada. Note: I’m only recommending hotels/airbnbs and restaurants where I enjoyed staying/eating! None of the links included in this post are an affiliate. After arriving in Denver, we picked up our rental car. This car got us through the entire road trip Once we reached the end, we simply returned it and flew back home. It’s so much easier than you think! After picking up the car we had a quick dinner and went straight to bed. The first real day in the States was filled with a long drive. From Denver, we drove to Montrose. Even though most of your day is going to be spent in the car, the view will be worthwhile. Especially because it is the first day on the road, you’ll have more than enough to see! 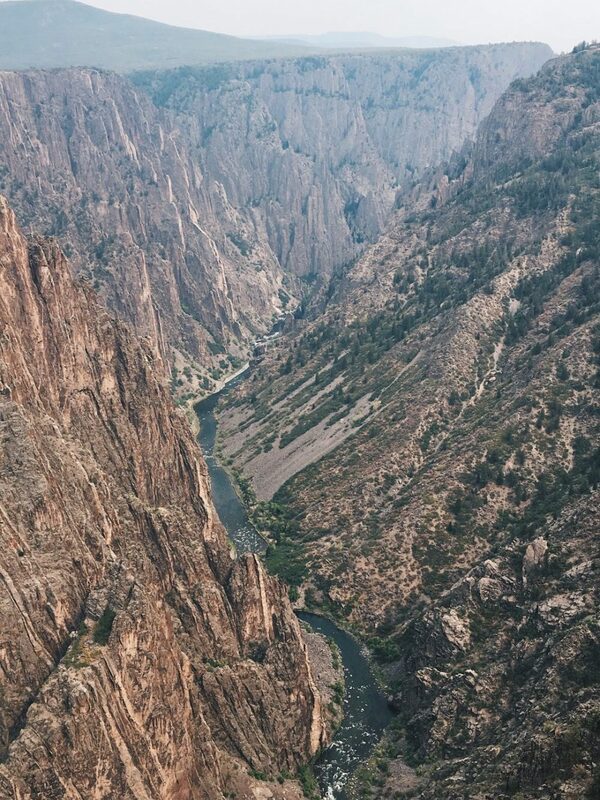 After arriving in Montrose, we had a quick shower and made our way to the Black Canyon. Our first National Park. Extra: Before going on your USA road trip, make sure to buy a National Park Pass. This allows you to visit every National Park while you’re in the US. It saves you so much money! Buy your own pass online at http://www.store.usgs.gov/pass. Also make sure to bring an empty notebook where you can collect stamps in – every National Park has a special stamp you can collect. A nice little keepsake for your trip. After breakfast, we drove through the Rocky Mountains to Durango. 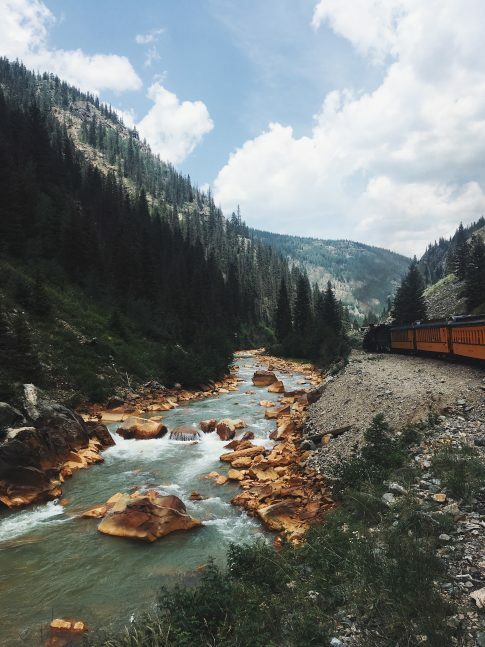 In Durango, we had booked a train ride to Silverton and back. Silverton is a former silver mining town feels like an old western movie. The train we booked was an old steam locomotive, adding that extra bit of western movie to the day. 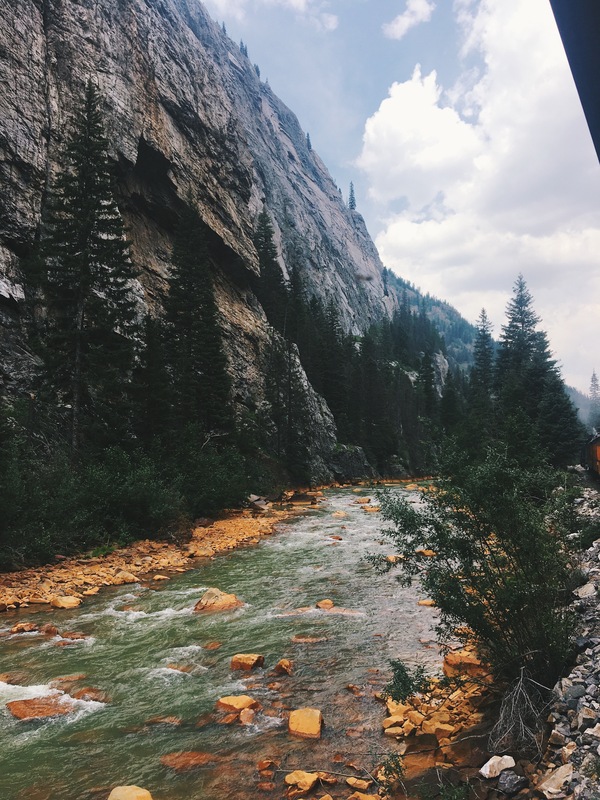 The train trip took about two hours but gave us an incredibly beautiful view all the way to Silverton. We then had a couple of hours to explore the town before we got back on the train, that took us back to Durango. We booked our train journey here. Where to eat: Lunch in Silverton in “The Grand Restaurant and Saloon” – lovely food and an amazing atmosphere with pianist giving the real Saloon vibe. What to see: There are tons of cute little souvenir shops in Silverton, so definitely try to walk around as much as possible in your lunchtime. Extra: Because the train is a steam locomotive, don’t wear any white clothing and wear sunglasses! The black smoke does get on your clothes and can get in your eyes. The next morning we started our journey to Moab, Utah. On the road to Moab from Durango, you can stop at the Utah Welcome Sign for some photographic evidence that you’re in the state. 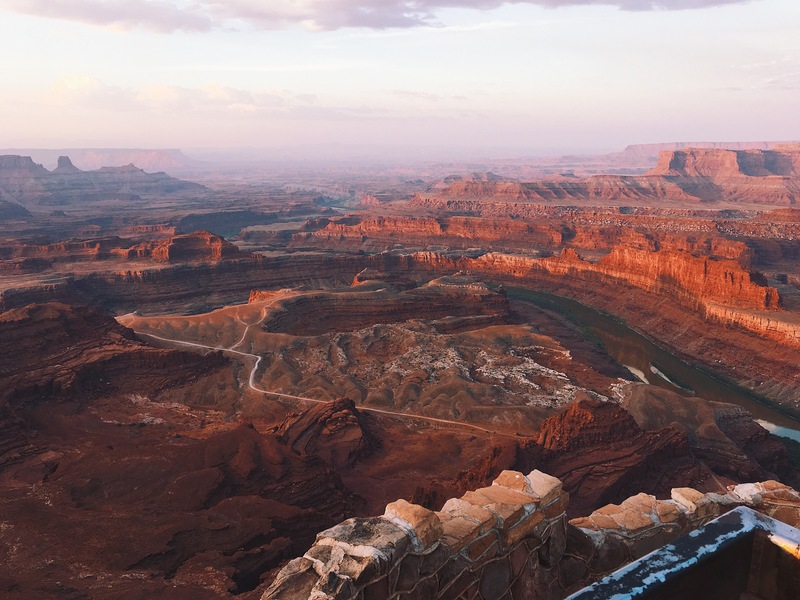 After that, you can drive through Canyonlands National Park for a great first impression of what this gorgeous state has got to offer you. After checking into your hotel, you can relax a little before going for dinner. There are lots of different restaurants in Moab. 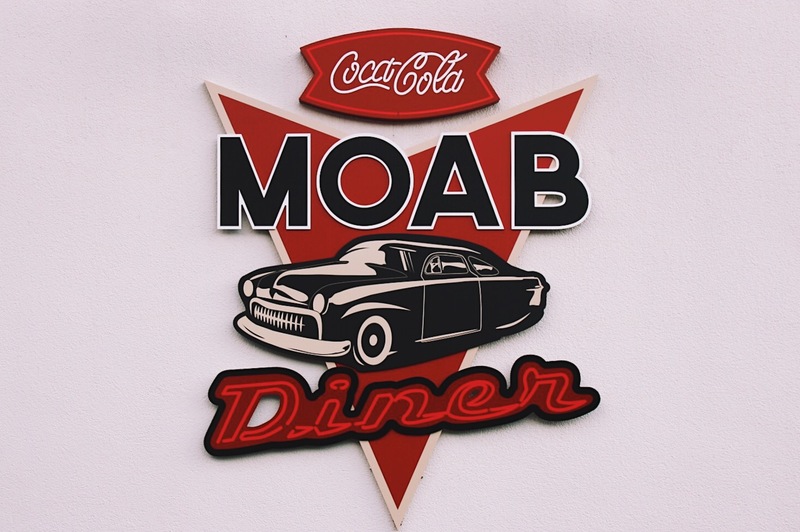 We went to Moab Diner for a real American diner experience. Before Sunset, you can drive through Arches (no need to stop everywhere, as you’ll return in the morning for a proper visit). The Double Arch is a perfect place to watch the sunset. 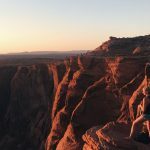 Where to stay: We stayed at the Expedition Lodge in Moab – big rooms and very comfortable. Set your alarms for 5 AM. Wake up early to get into the car and drive straight to Dead Horse Point State Park. When we visited Dead Horse Point State Park, there was nobody but our family to watch the sun rise over this beautiful canyon. It turned out one of the most beautiful things I’ve ever seen. The peace and quiet of it just being the five of us amplified that. You can drive on to see Mesa Arch (which is not too far from Dead Horse Point State Park) to enjoy the morning light there, or you can go straight back to the hotel for breakfast. After breakfast, we drove through Arches National Park and took the time to visit all the viewpoints properly. We then drive on to Blanding, where we stayed the night. 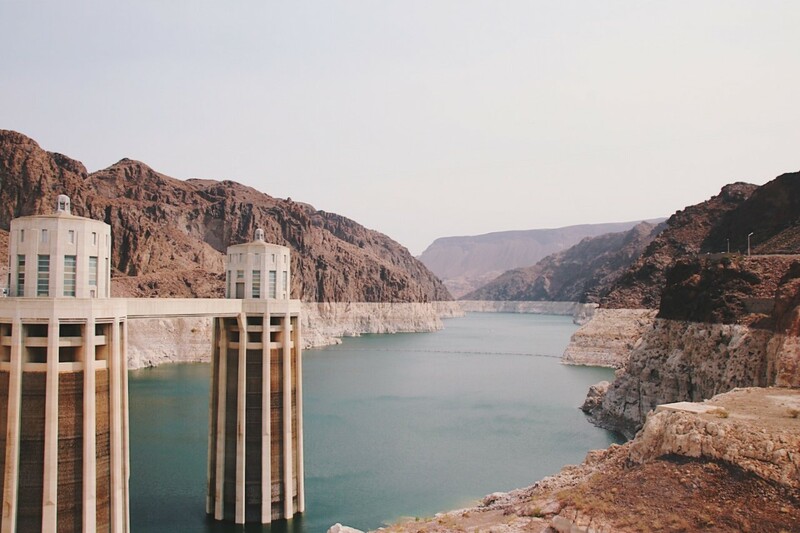 Extra: Utah is HOT – make sure to bring enough water! We spent the first half of our day in Monument Valley. You can drive through the valley by car, stopping at the viewpoints to enjoy the beautiful sights and take some photos. Made sure to visit the visitor’s centre for some extra information about how these Buttes came into existence and learn more about the Navajo. After visiting Monument Valley, we drove on to the next part of our road trip: Arizona. 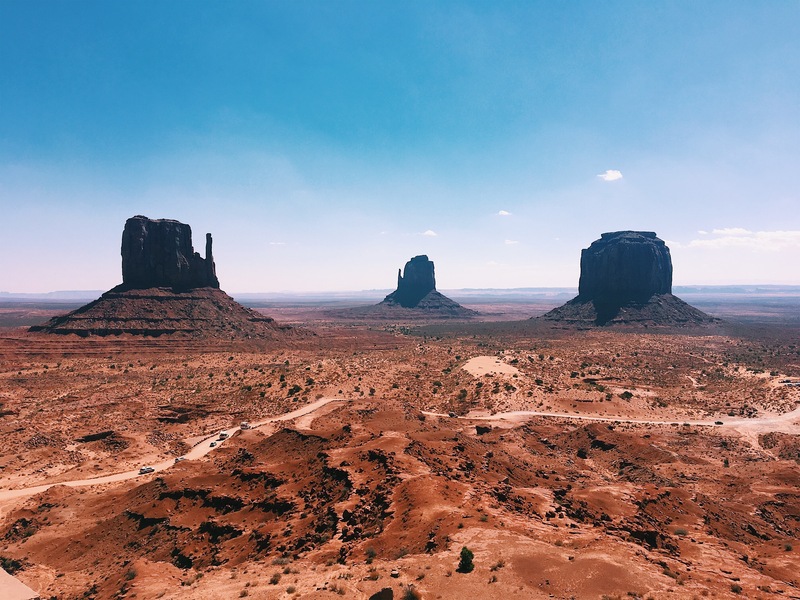 The welcome sign for Arizona isn’t as picturesque as Utah’s welcome sign, but it’s located near Monument Valley for those who do want to take a photo with it. We only stayed in Arizona for one night, in Page. After checking into the hotel, take some time to relax at the pool and grab some dinner somewhere. 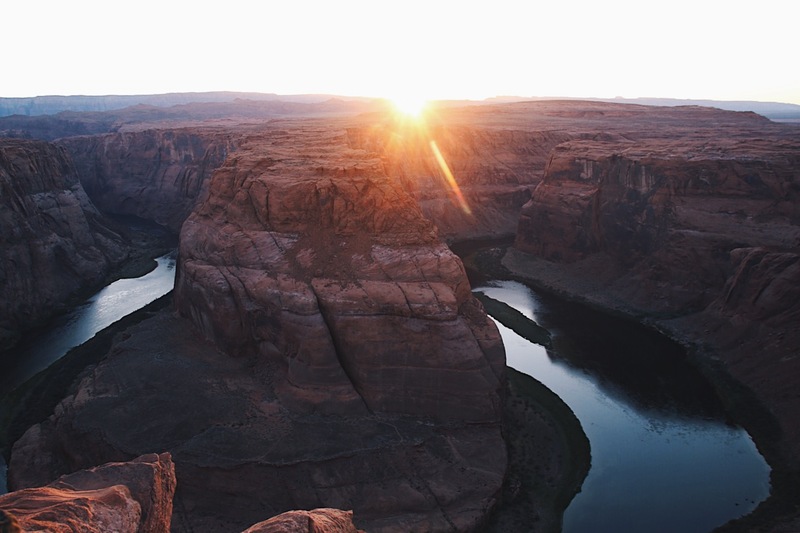 Right before sunset, drive to Horseshoe Bend (which is a 10-minute drive). You’ll need to walk to the viewpoint, which takes about 15-20 minutes. You can watch the sunset over this gorgeous meander. Early in the morning, we had our Antelope Canyon tour. This is an absolute must if you’re going to stay in Page. 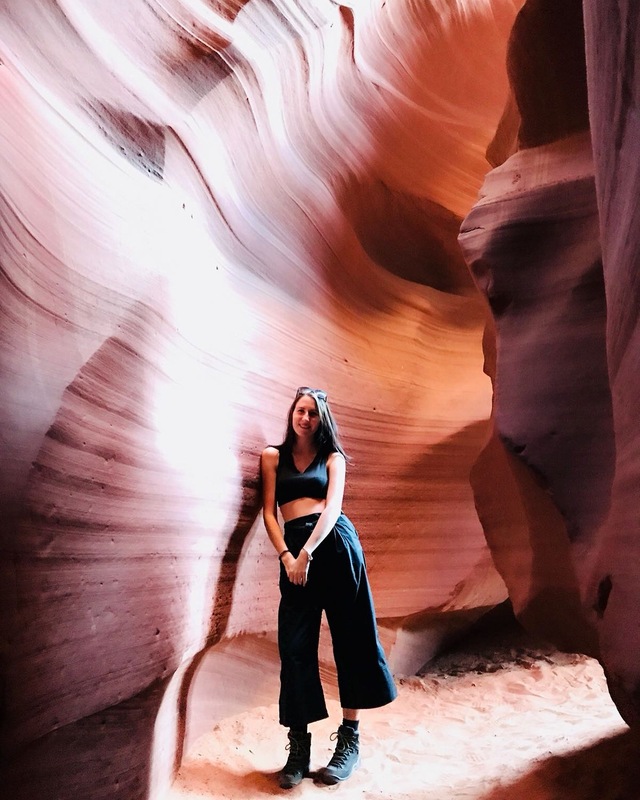 Antelope Canyon is the most beautiful thing I’ve ever seen in my life – the highlight of my entire USA road trip. The canyon feels surreal! We booked the tour for the upper canyon. After our tour, we headed back to the hotel for breakfast and packed up the car again. On our way to Grand Canyon, we had a quick stop at Glen Canyon Dam near Page for some photos and a quick walk through the visitor’s centre. We then drove on to the North Rim of Grand Canyon. 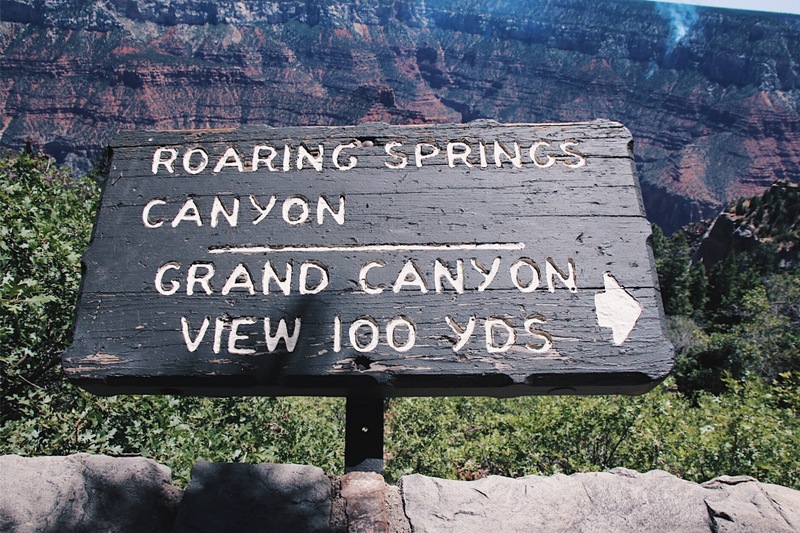 Once we arrived, we took a hike up to a viewpoint to look over the beautiful Grand Canyon. The Grand Canyon has always been one of those things I’ve wanted to tick off my bucket list and I’m very happy I got to do so. However, after seeing the beauty of Dead Horse Point State Park, I can’t deny that I was a little disappointed with the Grand Canyon. Maybe the South Rim would’ve been a better pick for me, but I have no way of comparing that. Maybe for next time! After our visit to the Grand Canyon, we drove back to Utah. That evening stayed in the lovely little town Kanab. Our Airbnb was amazing. I absolutely adored it. I’d 100% recommend it to anyone who’s also staying in Kanab. Even though it’s a little out of the town, it’s a super comfortable little house with such a great atmosphere. Where to eat: Houston’s Trail’s End in Kanab was a great restaurant for dinner. Because we stayed in the Airbnb, we didn’t have breakfast included. This is why we went out to Kanab Creek Bakery for breakfast – and oh man, what a great decision! Not only was the food and coffee amazing, but the atmosphere of the little bakery was also wonderful. The owners were super friendly and we ended up having a chat about Zero Waste – as their coffee cups were biodegradable and they were working on getting paper straws as well! Please give these guys a visit if you’re ever around – they deserve it! After breakfast, we drove to Bryce National Park. It’s famous for its natural amphitheaters that are carved into Paunsaugunt Plateau. Erosion broke down and shaped the sandstone in unique sculptures. 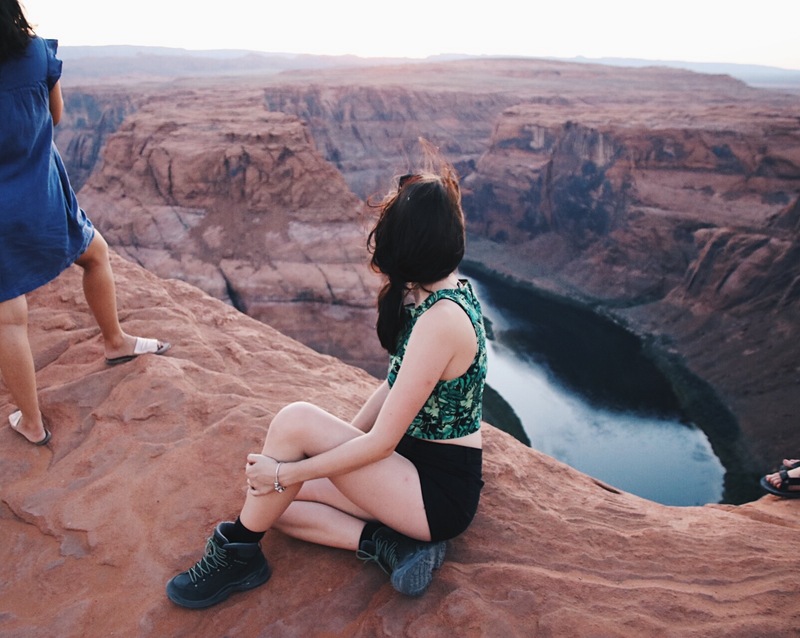 The Natural Bridge, Farview Point, Sunset and Sunset Point, Bryce Point and Inspiration point are some of the viewpoints you shouldn’t miss! 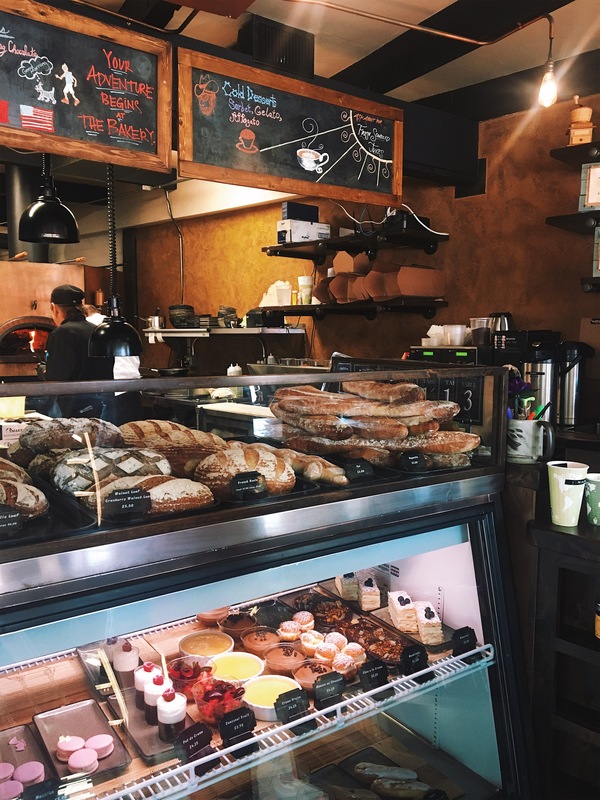 Where to eat: Kanab Creek Bakery is a must-see for lunch and breakfast. On day nine we drove towards Zion National Park. On the way, we stopped at a couple of old antique shops to look for used USA license plates to take home as a souvenir. Unfortunately, we didn’t end up going to Zion National Park because of the limited parking places. If you do want to go, make sure you go early in the morning so there’s still enough parking places left! Because we didn’t go to Zion, we drove straight to the hotel in St. George and spent the afternoon in the pool! Where to stay: We stayed in the Ramada hotel in St. George. Close to the main street filled with restaurants and shops, good rooms and a big pool. 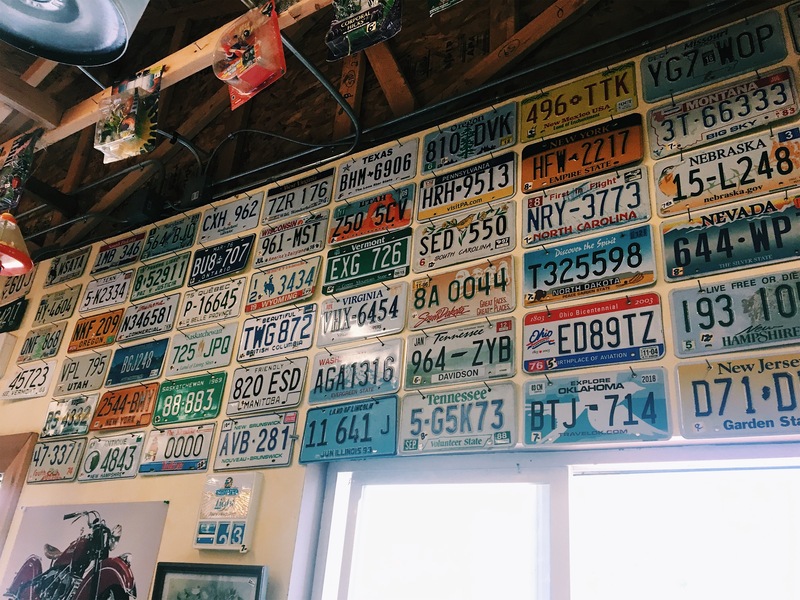 Extra: If you want to buy a license plate as a souvenir, make sure to get one from an antique shop! Souvenir shops in bigger cities (LA, San Francisco, etc.) charge you three times the price! We ended up paying 5-7 dollars per plate when in the cities they easily ask 15-20. From St. George we drove to the next state: Nevada. Once again we would only be staying in the state for one day, trying to see as much as we could. 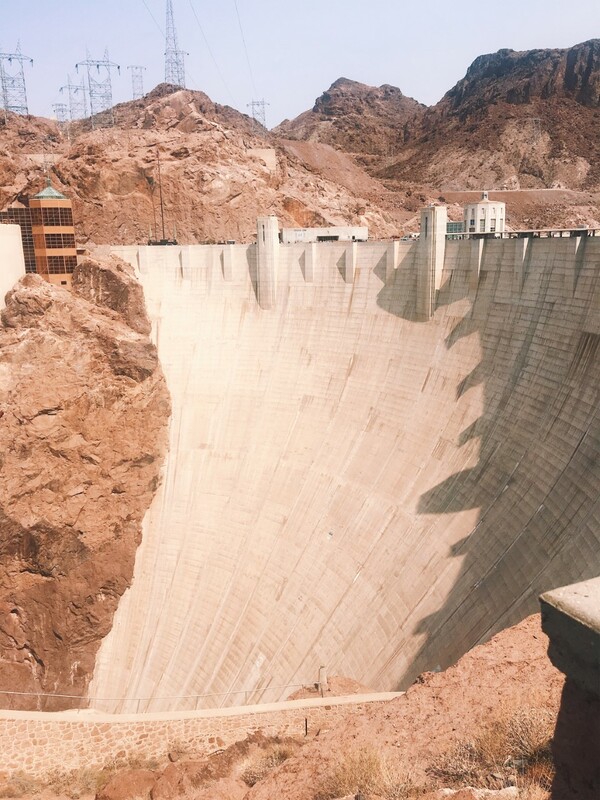 First stop was the Hoover Dam. When it was constructed back in 1935, it was the highest dam in the world. After parking the car, we walked across the dam and enjoyed the view. We then drove to Las Vegas. Firstly, we had a walk around the Strip and did a bit of shopping. 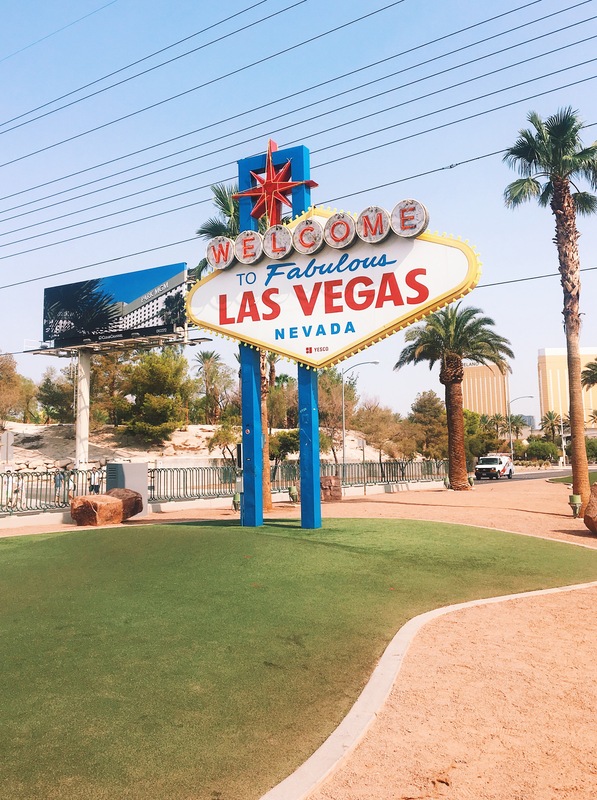 We then checked into our hotel for a quick shower (which was very much needed after a walk through Las Vegas during the day, 40-45 degrees Celsius). After our shower, we went straight back into the city. We walked through the famous Strip again, but this time the sun had gone down and made this famous street so much more enjoyable. It was still boiling hot outside, but the flashing lights made it all worth it. My dad and I spent some time playing roulette in one of the many casinos and ended up winning $28. After some more walking around we returned to the Fountains of Bellagio for the water show which starts every 15 minutes. 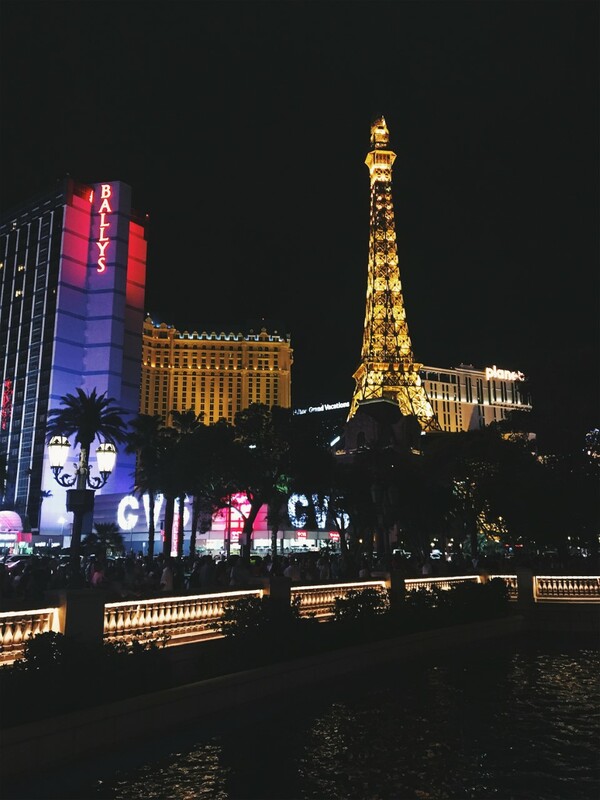 What to see: Hooverdam, Las Vegas Strip, Fountains of Bellagio water show, The Venetian. Extra: Either plan to have dinner somewhere in Las Vegas, or decide to grab some fast food during your walk through the Strip. We didn’t play this and ended up walking for over an hour and a half until we decided to grab a quick McDonalds cause we were so hungry! From Las Vegas, we drove on to the next and final state: California. 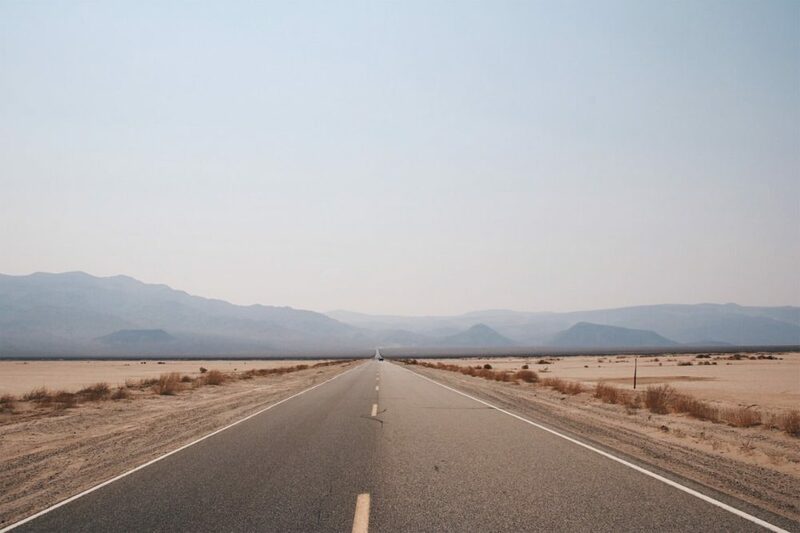 To get to The Golden State, we decided to drive through the famous Death Valley. The name for this place is very well picked. 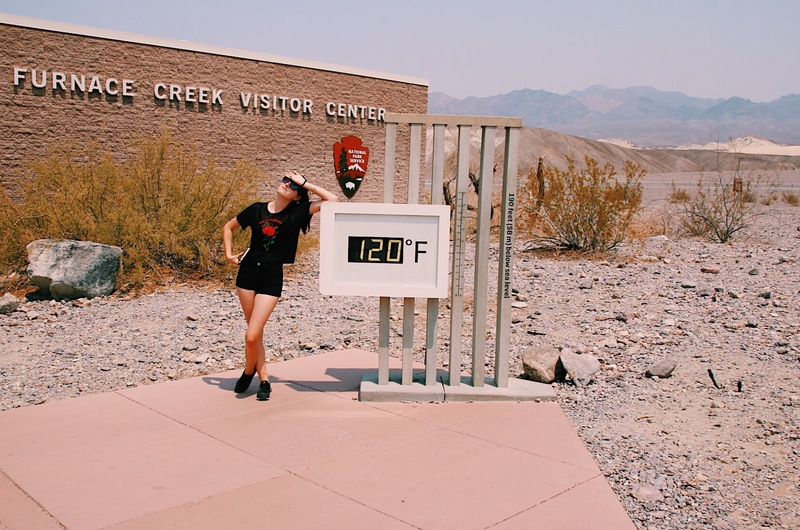 With the highest temperatures on the planet, Death Valley reached over 120 degrees Fahrenheit (almost 50 degrees Celsius) and we didn’t see much more than a lot of sand. We made a stop at Dante’s View over the valley, which was beautiful. The only thing I hated about traveling here was that the heat made me feel claustrophobic, there really is no escape from the heat. In Furnace Creek, we had a walk through the visitor’s center before making our way to the end of the valley. Where to stay: We stayed the night in Lone Pine’s Best Western Frontier. Large room and comfortable beds. What to see: Area 51 Alien Centre (2711 E Highway 95, Amargosa Valley, NV 89020-1521), Death Valley, Dante’s View, and Furnace Creek. The next morning we drove to Lee Vining for lunch. After lunch, we had a walk near the Mono Lake. This lake is known to be saltier than the ocean. The high level of salt in the water creates stunning natural sculptures all around the lake. After that, we drove to Mammoth Lakes, where we stayed the night. The town is visibly famous for its skiing and snowboarding season, but still lively during summer for mountain bikers and other travelers. We stayed in the most adorable cabin in the woods, one that I would recommend to anyone who ever visits the place. Where to eat: For breakfast, you should definitely check out Schat’s Bakery (3305 Main St, Mammoth Lakes, CA 93546) , for dinner you can’t go wrong at Giovanni’s Pizzeria (437 Old Mammoth Rd, Mammoth Lakes, CA 93546). 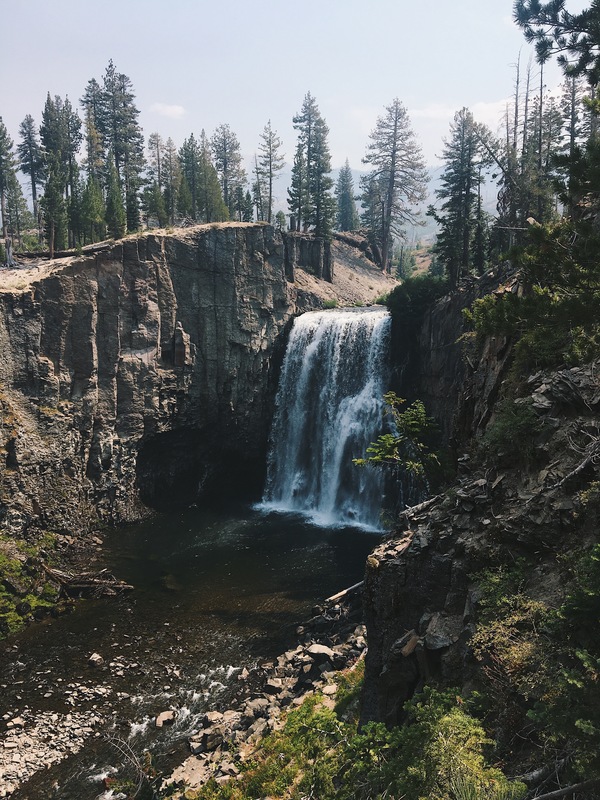 After breakfast at Schat’s Bakery in Mammoth Lakes, we took a little bus down the mountain to take a hike to the Rainbow Falls. A beautiful walk through the forest that ends up at the gorgeous waterfall. 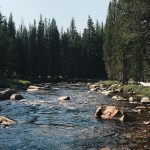 Once we got back to the car, we drove through the Tioga Pass to Sonora. 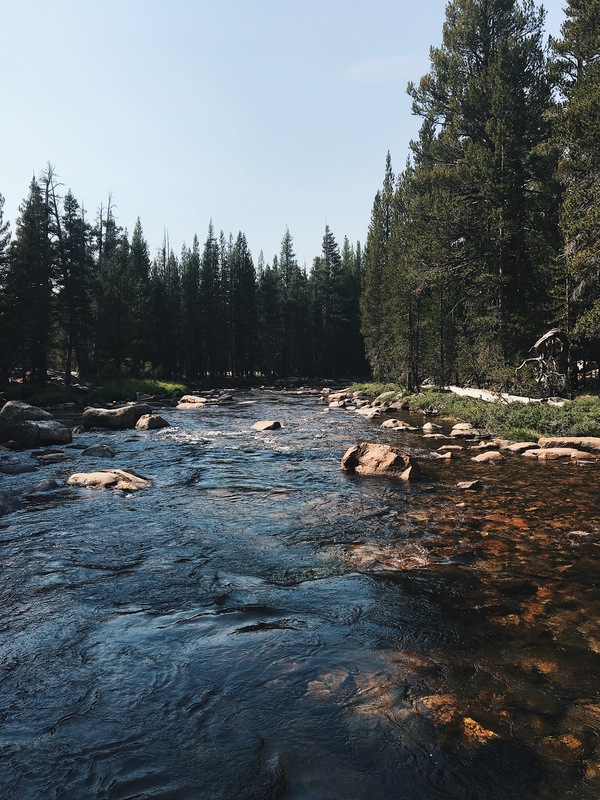 While driving through the Tioga Pass there are lots of opportunities to stop and take beautiful photos. 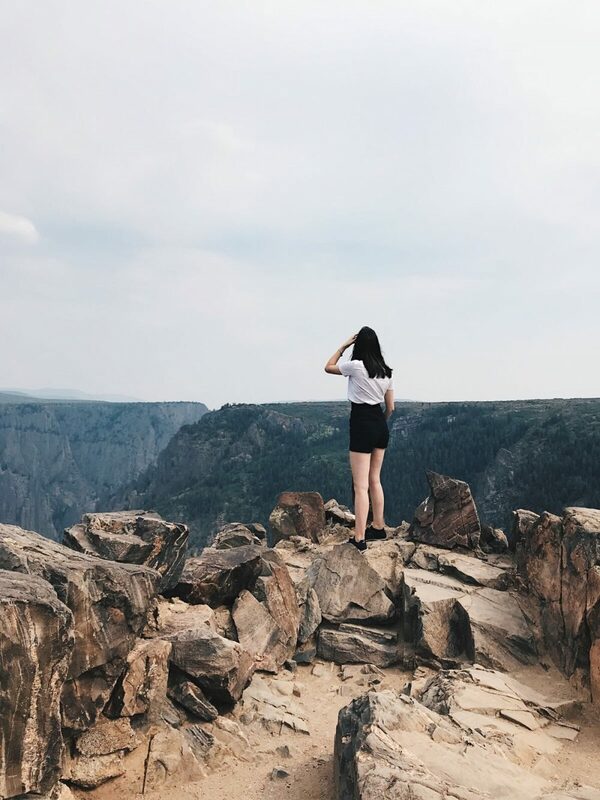 This day was completely dedicated to explore Yosemite National Park. Unfortunately, Yosemite was closed when we were traveling around the US due to the crazy forest fires. 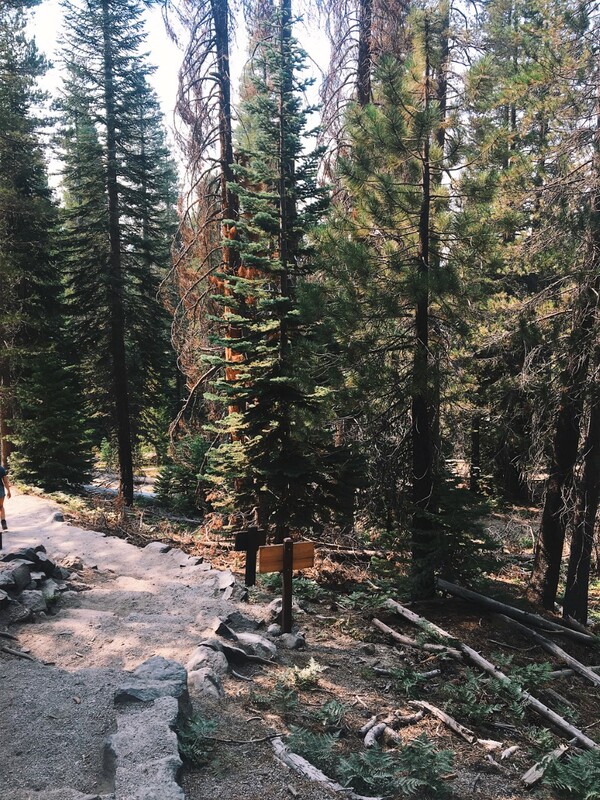 Luckily, we still got a good impression of the park while we drove through the Tioga Pass and hiked to the Rainbow Falls. 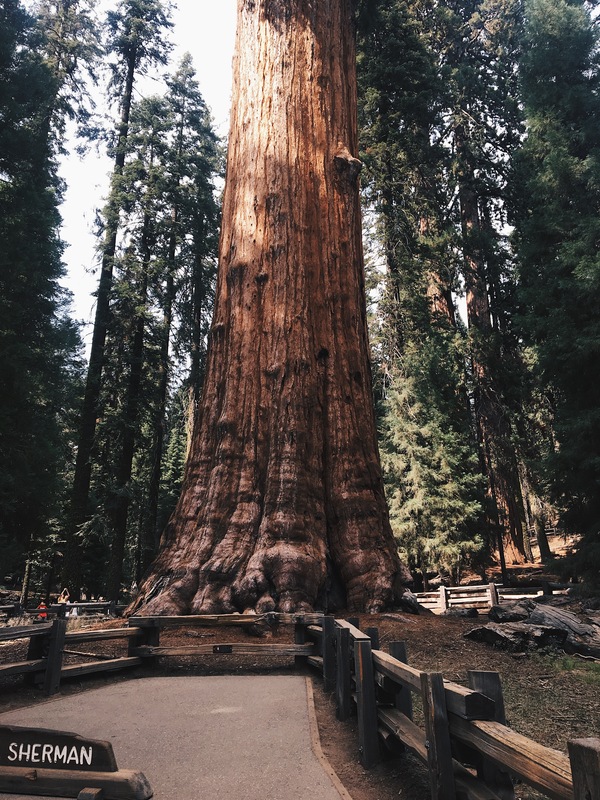 Instead, we drove to Sequoia National Park to see the Sherman Tree. San Francisco was next on our planning. 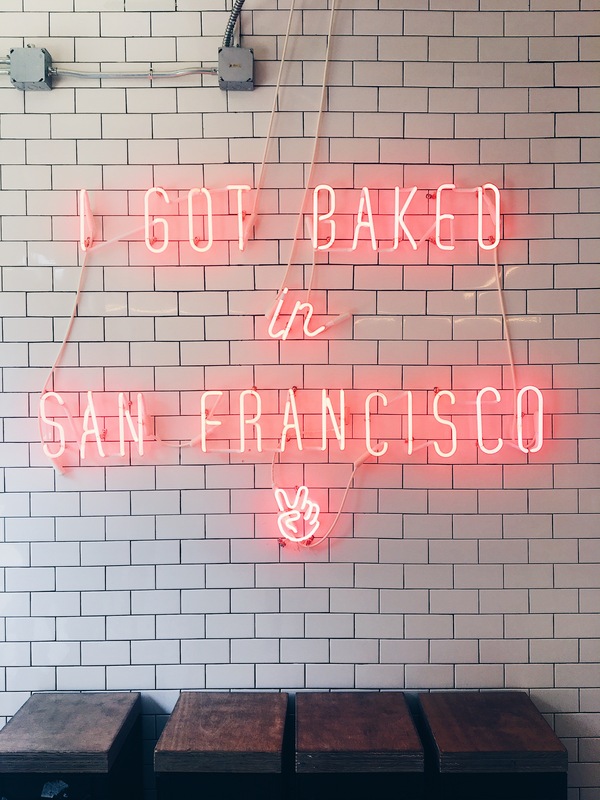 Because San Francisco has so much to offer, I’ve dedicated a separate post to this city. You can find this post by clicking on San Francisco. This day was a bit of a long one because the drive to Bakersfield from San Francisco is quite far. However, after arriving in Bakersfield, we simply enjoyed ourselves at the pool for the rest of the day. It’s always good to plan in a couple of rest days in trips this big. From Bakersfield, we drove to Los Angeles and spent the next two days there. 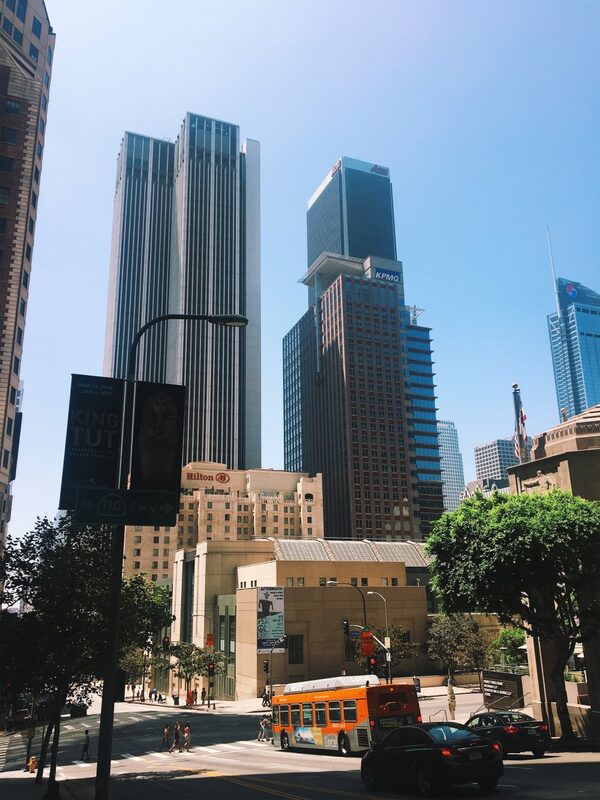 I’ve dedicated a separate post to what you should do and see when you’re in Los Angeles *here*. 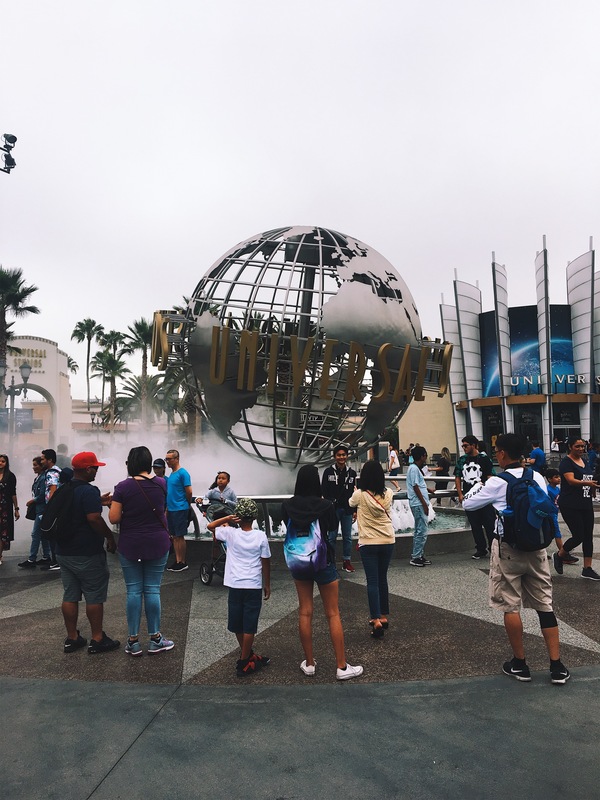 Universal Studios Hollywood is a great day out for film lovers. While in LA, you might as well try to plan a one-day trip to Universal to learn more about films and enjoy some great rides. What to see: The studio tour is a must-see in Universal Studios! As well as the Harry Potter part of the theme park. Extra: If possible, book a ticket to Universal Studios on weekdays to avoid the busy crowds. Joshua Tree National Park is known for its Yucca trees (also known as Joshua Trees), that are found everywhere in the park. It has a lot of cacti scattered around in the desert. When staying in a hotel in Twentynine Palms, you can access the park very easily by car. 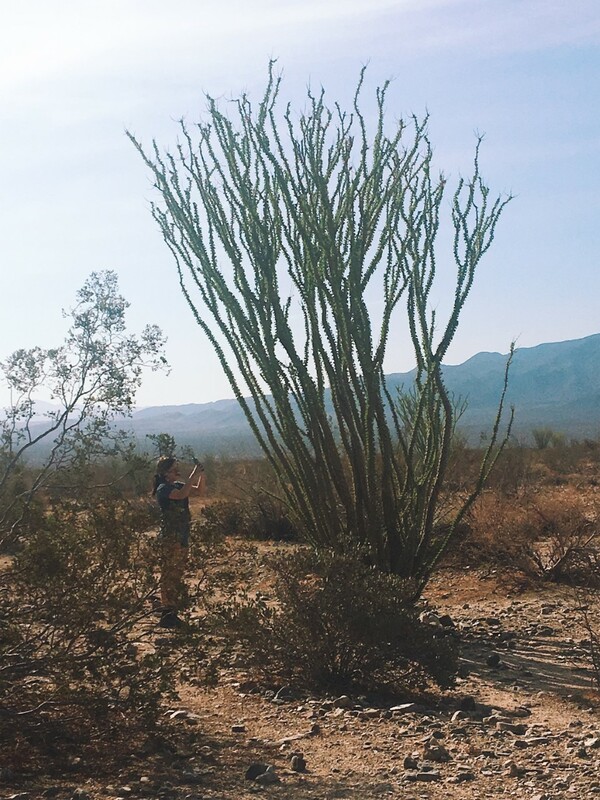 We stayed in TwentyNine Palms for one night when we visited Joshua Tree. It’s a 2-3 hour drive from Los Angeles, so if you’d rather spend another day in LA instead of visiting Joshua Tree you’ll save yourself a long drive back the next day. Where to eat: 29 Palms Inn (73950 Inn Ave, Twentynine Palms), lovely atmosphere with live music and great food. And with that, the end has finally arrived. We drove back to the airport in LA, dropped off the car at the car rentals and caught our flight back to Amsterdam. Three and a half weeks in the US, driving over 4000 miles and seeing countless monuments, sights, and views, experiencing things I will never forget. If you have any questions about my trip, please don’t hesitate to contact me via a contact form on here or leave a comment below! Wow your pictures are amazing! Loved how you broke down each aspect of your trip into sections – because it was such a big trip – this made it really easy to read. It looked like a fabulous trip. I’ve only ever been to the USA once; I went to Wisconsin – I flew into Chicago and stayed in and around Milwaukee. I’d love to go back and see more of USA. Woah your photos are amazing. Really love this post! America is incredible but I feel like you really captured a unique feel to it 🙌🏼 I would love to go to San Francisco! Fabulous trip and gorgeous photos. Must admit that the USA isn’t high on the list of places to visit because it just doesn’t have the history that we tend to crave but some of those landscapes are quite stunning. Lovely post and great pictures. I felt being part of your road trip through your post……thanks for the great details and tips. Oh wow I’ve always wanted to travel around the US and this sounds like the perfect trip! This post is so helpful and the photos are gorgeous! What an incredible experience – you’ve seen so many new places in such a short space of time! 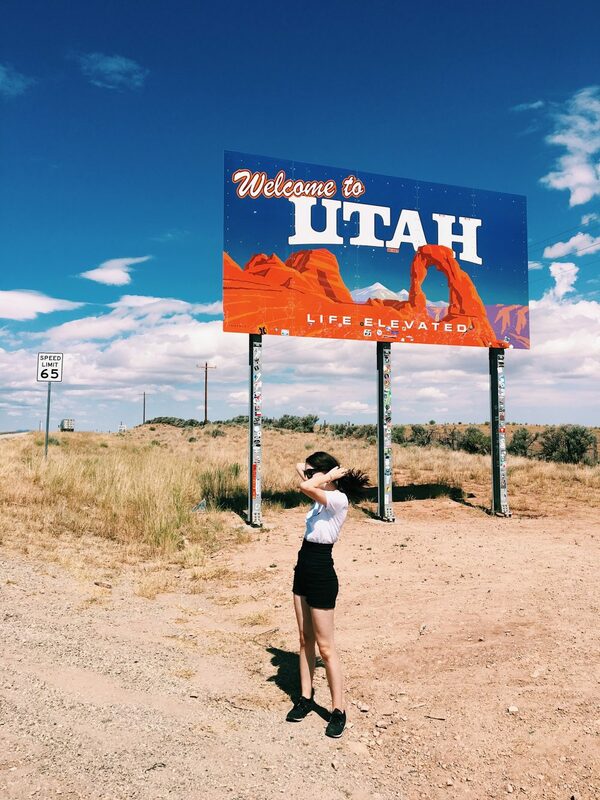 I shall come back to this post hopefully… I might be going to the USA in the summer after my A-levels in which case a road trip is definitely necessary! I will definitely keep this post in mind! 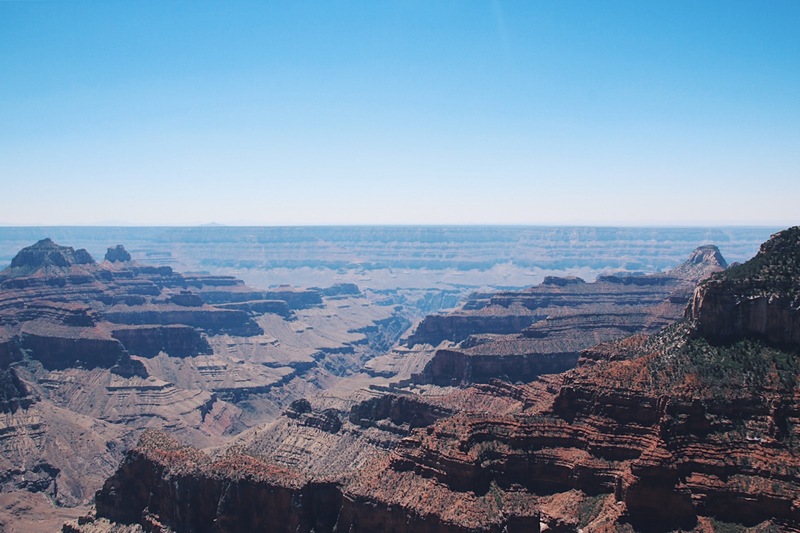 The Grand Canyon looks awesome! Wow this was sick! I want to go a on a road trip like this!! You’ve seen more of America than me! Haha. Great photos too! Wow- you covered a LOT of ground!!!! I hope you can make it back to see the East Coast as well- it’s totally different but equally as gorgeous! I really enjoyed this post. Great pictures, beautiful locations, felt like I was on the trip with you. Seems like you took in a lot nature and had a beautiful time. What a great post! everything about this article is pure perfection! just wow! Hi Nele, It’s nice to come across this post, I have been planning for my trip to the States for a while now. Thanks to your post I know what to add to my itinerary.